A clear judgment - Patent my French! For better or worse, lack of clarity is not a ground for opposition at the EPO. This is not to say that lack of clarity is not a frequent issue in granted patent claims. But there is not much you can do about it. Unless, that is, the lack of clarity also translates into a different type of defect which happens to be a ground for opposition. Such as insufficiency of disclosure, lack of novelty or extension of subject-matter. So it is a very common game during opposition proceedings for patentees to claim that objections raised against their patents are disguised clarity attacks. And for opponents to reply that no, they are much more than that. At which point do unclear things become so unclear that they can actually not be reproduced? The same game can also be played in front of national courts, as lack of clarity is not a ground of nullity either. The game seems to be somewhat less popular there. But today’s judgment issued by the Paris Tribunal de grande instance (TGI) provides an illustration. Guerbet is a French company specialized in medical imaging products. It owns a French patent No. FR 2927539 on a composition of contrast agent. Bayer Pharma (which I probably do not need to introduce) filed a nullity suit against this patent in July 2015. In May 2016, Guerbet’s patent was limited at the INPI. Interestingly, this French patent is part of a much broader family including several European applications or patents, two of which were opposed by several competitors. But the litigation was restricted to this French priority patent. The court nicely summarized the invention in the judgment. 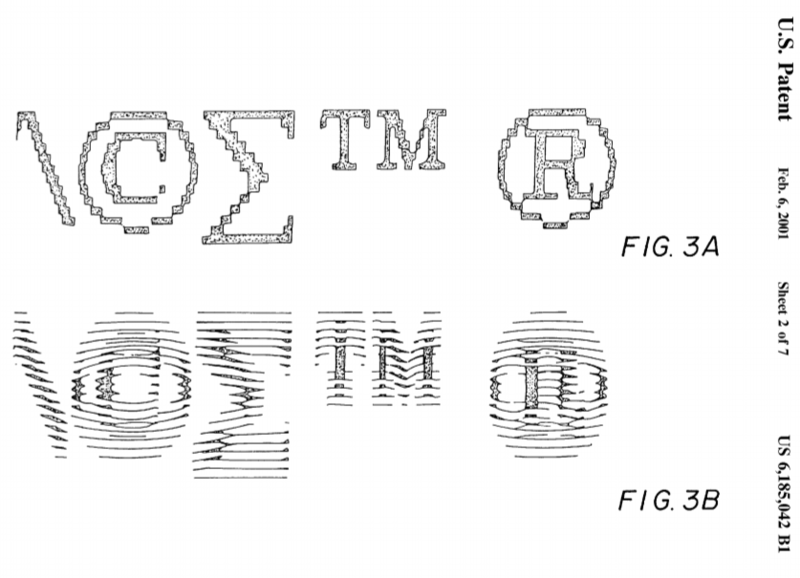 The patent at stake relates to an MRI (Magnetic Resonance Imaging) contrast agent formulation. The formulation is based on a metal of the lanthanide series, such as gadolinium, which is complexed by a macrocyclic chelate, known as DOTA. Free lanthanide is toxic, therefore it needs to be bonded in the complex. In fact, a slight excess of chelate is desirable in order to prevent any risk of undesirable release of free metal within the patient’s body. But the excess of chelate needs to remain small because the chelate itself is also toxic – although, I assume, less so than gadolinium. An amount of excess free chelate of 0.002 to 0.4% has been found to be optimal. One difficulty is how to accurately achieve this precise dosage on the industrial scale, and in a stable manner. The invention consists in a preparation process in which a certain concentration of free chelate or free lanthanide is achieved in an intermediate formulation, and then an adjustment is carried out in order to reach the proper concentration specifications. There are two independent process claims 1 and 2 in the patent as limited at the INPI. d) adjustment of Ccl so as to obtain Ccl=Ctcl and Cll being equal to 0, by suppressing free macrocyclic chelate and/or by adding free lanthanide and/or by modifying the pH. Claim 1 is very similar except that at step b) all the lanthanide is not complexed. The amount of free lanthanide is measured at step c) and more free marocyclic chelate is added at step d) to achieve the target concentrations. This now leads us to the objection of extension of subject-matter raised by Bayer Pharma. Bayer Pharma noted that there is a contradiction in step b) of claim 2, which refers to the preparation of a composition which may contain free lanthanide, although it is specified at the end of the step that all the lanthanide is complexed. Such a combination of features was not disclosed in the original application as filed, they said. They also added that the claim was the result of an intermediate generalization, since the feature that all the lanthanide is complexed at step b) was originally disclosed only in connection with a particular embodiment, called case B (involving in particular the use of an excess of macrocyclic chelate at step b)). Although this functional feature is made explicit for one of the three variants of the manufacturing process (case “B”), without being contemplated for cases A and C, it remains that it is indeed contemplated as an option disclosed in the initial application. Its title, related to a process for manufacturing a formulation, can lead the skilled person, who is a chemist used to combining different formulas, not to consider that this feature is excluded of all the other embodiments. The fact that this requirement […] can be in contradiction with another feature of this claim (namely the presence of free lanthanide) may potentially be a matter of lack of clarity but not of undue extension of the subject-matter of the patent. This clarity discussion then continues in the next part of the judgment dedicated to Bayer’s insufficiency objection. […] It can be derived from common general knowledge that it is impossible for both free lanthanide to be present and for the complexation of the lanthanide to be total. Therefore, [the skilled person] will read the patent in a manner which will give it effect. [The patent] recites various steps for making the dissolution process, measuring and adjusting. [The skilled person] will understand that the total complexation of lanthanide can be performed later and that this circumstance does not result in an impossibility to reproduce the [invention], which requires to implement claim 2 as a whole, without focusing on one of its steps only without taking the other ones into account. Here, the approach of reading the patent in a constructive manner, with a “mind willing to understand“, as they are wont to say at the EPO, goes as far as making it possible to ignore an apparent contradiction in the wording of a claim. In other words, the skilled person is presumed to resolve the contradiction by correcting and adding information to the claim. It is not really surprising that the French court adopted this approach, in view of the longstanding tradition in this country of extensively relying more on the description for interpreting the claimed invention, instead of focusing on the exact wording of the claims. Apart from this, the rest of the insufficiency discussion is also quite enlightening. Regarding claim 1 in particular (the variant wherein there is some free lanthanide left at the end of step b)), Guerbet relied on example 2 of the patent. But Bayer Pharma said that the example was not according to claim 1. Actually, when reproducing this example, a significant amount of free chelate was obtained at the end of step b). This is a problem because, at the following measuring step c), the concentration of free chelate is supposed to be zero, according to claim 1. The TGI addressed this objection by stating that claim 1 does not require that all the chelate should necessarily be complexed at the end of step b). Otherwise, measuring step c) would actually be useless. Consequently, this step c) comprises a functional feature – achieving a total complexation of DOTA – in order to perform the measurement of free gadolinium which will precisely be made on a sample taken during step c), and which would be useless if the complexation of DOTA were total at the end of step b), as alleged by Bayer Pharma. Therefore, even if step c) of claim 1 does not explicitly mention that it requires a modification of the collected sample, this modification implicitly derives from the functional feature that it requires to perform the desired measurement, namely a concentration in free macrocyclic chelate Ccl that has to be equal to zero. Here again, the court did not restrict the interpretation to what the claim actually recites. Although the claim is silent as to the collection of a sample and the modification of the sample before performing the measurement, the court considered that these features are implicitly present in the claim in view of the description and in particular example 2. The court also accepted Guerbet’s explanations that the modification of the sample at step c) could be performed by raising the pH through the addition of meglumine, and that the skilled person could rely on common general knowledge to perform such a modification. Bayer Pharma further argued that the range of pH making it possible to achieve full complexation was not known. The court again sided with Guerbet on this aspect and accepted that a specialized scientific article and a university textbook discussing chemical equilibriums in general provided the skilled person with the necessary information. Thus, the process of claim 1 was found to be sufficiently disclosed. Turning again to claim 2, the patent in suit does not contain any example of implementation. But the court was satisfied that the process of claim 2 was analogous to the process of claim 1, so that it could also be carried out without undue burden. Thus, the skilled person, who may implement claim 1 as indicated above, for the same reasons […], is also able to implement claim 2 notably by relying on common general knowledge, so that the absence of an example to illustrate this claim does not make it insufficiently disclosed. The judgment then goes on with addressing an inventive step attack, which was also rejected. Bayer Pharma’s nullity action thus failed. Who said pharma-oriented patents are always invalidated in this country? CASE REFERENCE: Tribunal de grande instance de Paris, 3ème chambre, 2ème section, March 23, 2018, Bayer Pharma Aktiengesellschaft v. Guerbet, RG No. 15/12348. Previous Previous post: Competence? Competence!